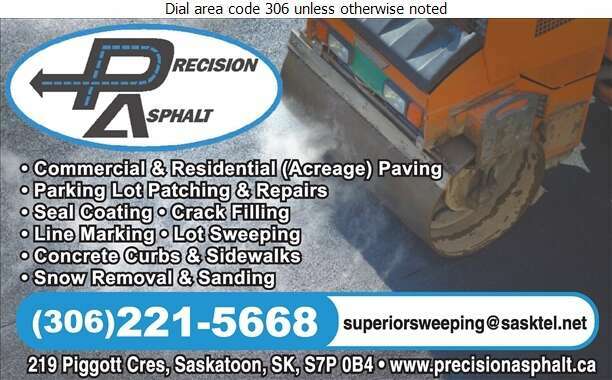 Serving Saskatoon and Prince Albert, Precision Asphalt specializes in commercial parking lot paving, patching and repairs. Our team of experts also provides crack filling, line marking and seal coating. To ensure that your parking lot is kept clean in the summer and winter, Precision Asphalt offers lot sweeping and snow removal. For all your commercial asphalt needs, call the professionals at Precision Asphalt!